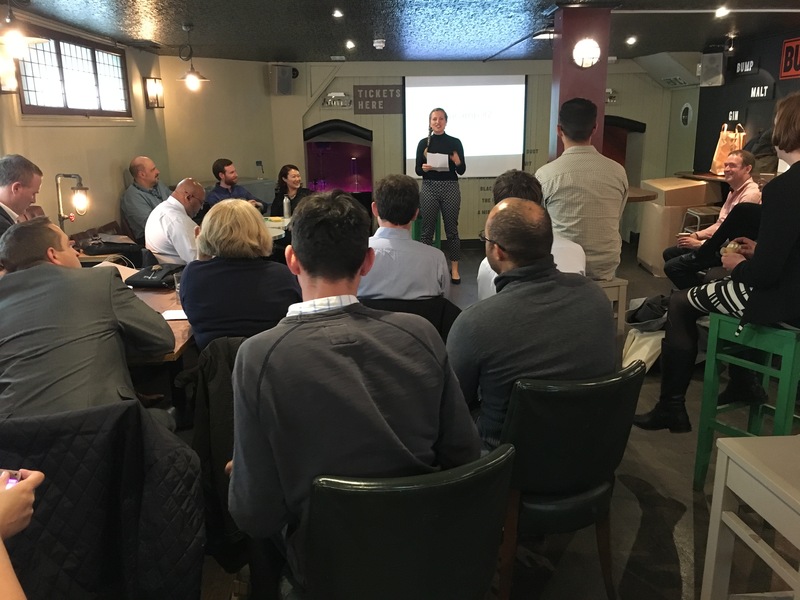 The London Peer Group is aiming to focus on raising awareness of the Service Standard across the individual 32 boroughs of London, through a series of TeaCamps. LoGov Platform is supporting the London Peer Group by providing sponsorship and support. 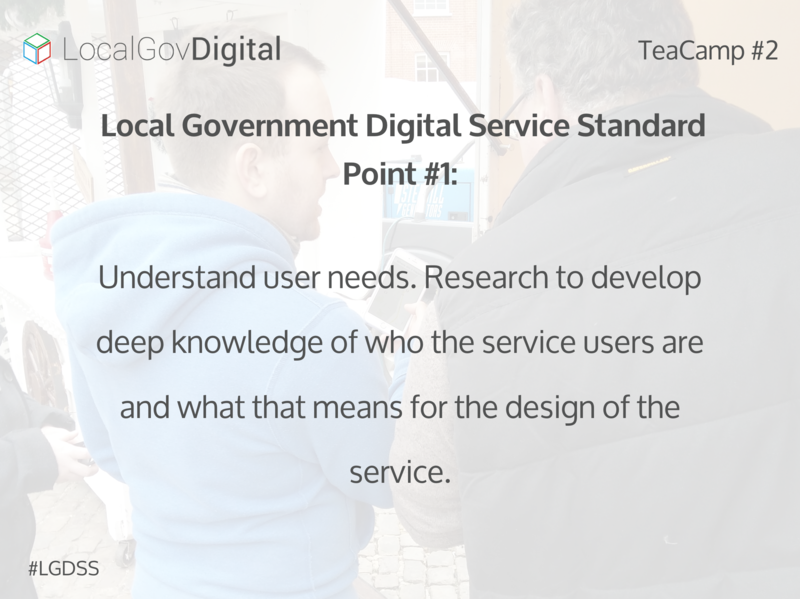 It’s been a whole six weeks since the first Local Government Digital Service Standard (LGDSS) TeaCamp took place, launching the London Peer Group and the movement of the Service Standard across the boroughs of London. Based once again at the Draft House Tower Bridge, it’s 4pm and people have started to arrive downstairs where this afternoon’s session is taking place. There are a few familiar faces from TeaCamp #1, as well as some new faces (all of which are lighting up upon arrival at the sight of the tables full of cakes). ‘The purpose of this point is to make sure the service is designed around the needs of those who use it. The team creating the service should have a good understanding of user needs that has come from observing and engaging with end users, understand what users are trying to do when they engage with the current service (the user context, whether currently digital or not) and they understand the user needs – not just functional requirements – that the service will have to achieve in order to be successful. “Point one is the number one point”. This may seem like a very simple statement of self-explanation and common sense, but when embedded in a busy project with many internal and external stakeholders, it can be very easy to lose track of this. Project cabin fever can take over and the unintentional blinkers can be raised. It’s always good to keep this in mind, after all – a service is of no use without users! So where do you start when creating a new digital service? Chris continues by introducing an example of when working within the digital team at Brighton & Hove City Council. His team began by prioritising their existing services, weighting the usage and complexity of each individual service in a matrix format. There’s no point in starting a service if you don’t have the political buy-in for it – you won’t be able to shout about it once you’re done! Testing, testing, 1, 2, 3 – start testing the wireframes/prototypes by setting users a few basic tasks and then monitoring what they do – where is their mouse heading? How are they moving through this service? What are they looking to do? 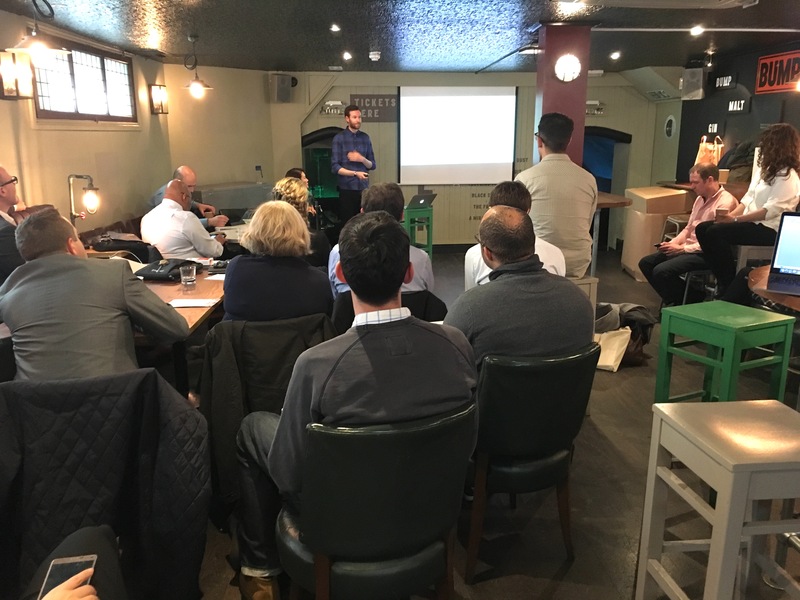 Chris concludes this part of the session by recapping each individual point around how Brighton & Hove City Council successfully introduced new services, all based around Point #1 of the Service Standard – they’re designed around the needs of those who use it. 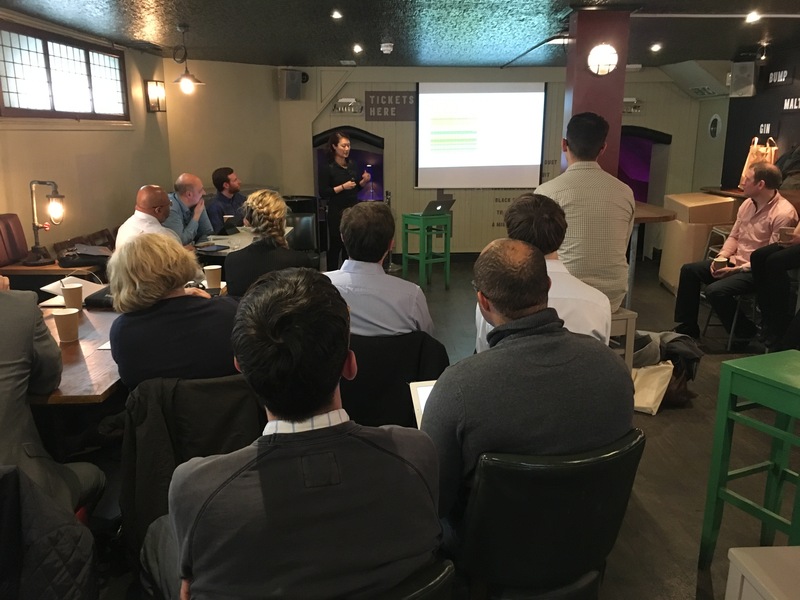 Providing a further example of Point #1 in practice, Steph shares a case study of a project she has undertaken with the Royal Borough of Kensington & Chelsea. As an example of user testing techniques, Steph introduces guerrilla testing and a very interesting story of validation. Through guerrilla testing, Steph focused on whether residents understood the global ramifications of having London’s City Hall on the banner. Validate your assumptions early by working closely with your residents – use methods such as interviews, concept tests, card sorting etc. What kinds of research can you carry out? From interviews to concept tests, surveys to usability testing, card sorting to participatory design (and so much more), Steph finishes by sharing an entire scale of open to close-ended user research techniques that can be used. 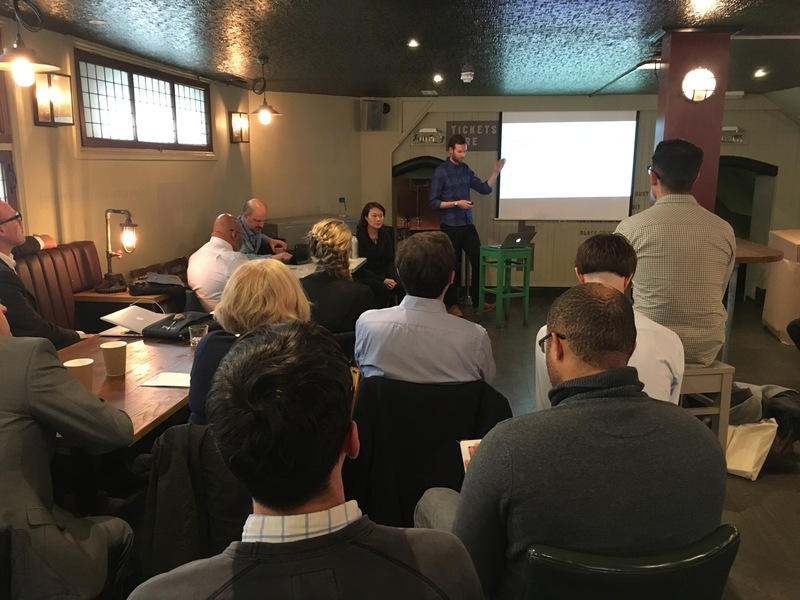 From hearing a few fantastic examples of user research in practice, it’s now time for the tables to turn from Chris and Steph to everyone else in the room. Yes, it’s breakout time. What’s that? 6 o’clock? Natalie heads back to the front to thank everyone for attending and shares this month’s parish notices to the group as the session wraps up. It’s now #BeerCamp – time to head on upstairs.